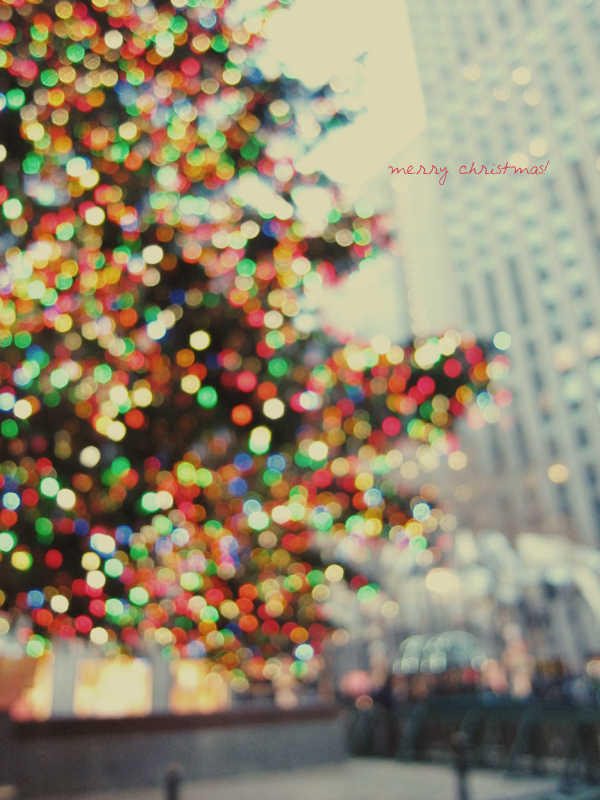 Wonderful bokeh-tree. Merry Christmas, Alice! Will I see you before you leave again? gah! LOVE the colorful bokeh!! Oh wow the tree looks beautiful! And I am definitely a fan of bokeh. I'd love to get back to NY for Christmas - actually to experience it in every season would be perfect. One down, three to go! Have a wonderful break. Here in Australia it is now Boxing Day morning. Now that is some serious Christmas bokeh! Love it! Hope you had lovely Christmas!!! Okay, wow -- this rocks. Bokehlicious. Hope you had a very Merry Christmas yourself Alice!